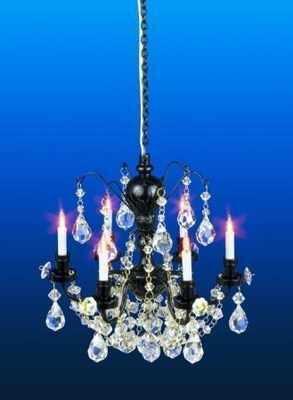 These amazing Real Crystal Chandeliers finished in Black with the crystals sparkling against the black metal work is stunning. 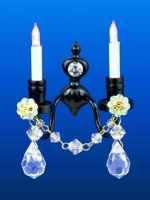 They have easy to replace screw in Candle Bulbs. This makes it very easy when a replacement bulb is required.